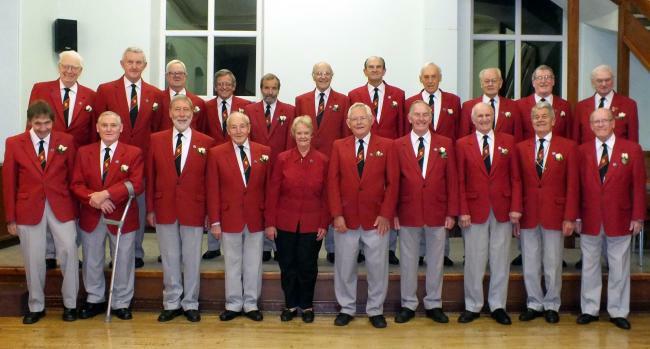 Steeton Male Voice Choir, one of Yorkshire’s best- and well-known choirs, are delighted to present an evening of song and music with their first visit to Otley Courthouse, alongside their guests from Scarborough, the Manhattan Voices. This will be an evening of song to suit many tastes with an electric mix of music from serious to soul, swing and show, folk and comic. SMVC are bringing a choir of 50+ to provide a powerful and moving classic male voice sound under the direction of our new MD., Catherine Sweet. We combine a mix of music associated with male voices choirs, but with a reinvigorated mix from various genres. Our guests Manhattan Voices, is led by Sue Hartley, Principal of Scarborough Academy of music and they are a group of solo performers who have come together to create a truly unique energised vocal ensemble. Their concerts take the form of cabaret performances, giving the audiences a true interactive taste of songs from musical theatre and other genres. Their repertoire is varied and punctuated with stunning solo performances and together with the Steeton Male Voice Choir we can guarantee a musical treat.